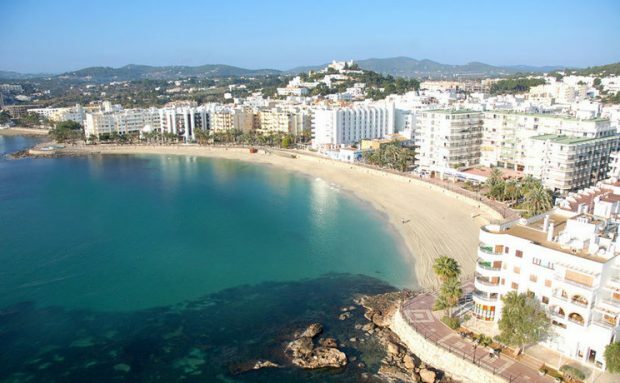 Santa Eulalia Ibiza is the third largest resort on the island and is situated on the east side of Ibiza. 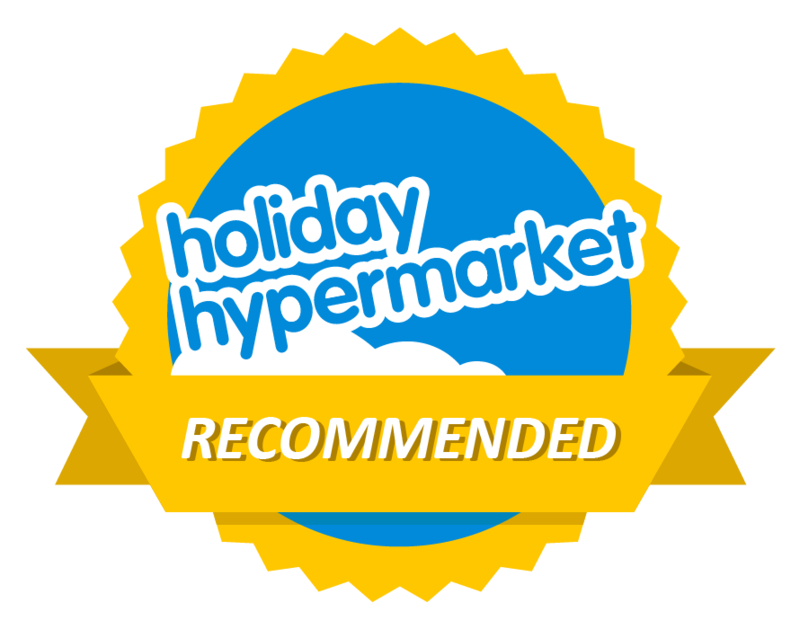 It is a beloved destination for families and those looking for a quieter slower paced holiday than the other major resorts. Santa Eulalia has everything you could wish for from a holiday from great beaches, gourmet eateries and plenty to do around and near the resort. 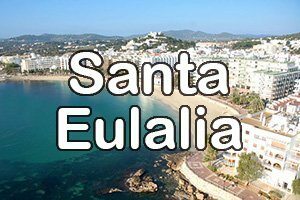 Beneath the recently constructed promenade is the main beach of Santa Eulalia which is a long, wide beach of fine white sand. The waters are clean and shallow, safe for children and very inviting for those less confident swimmers. The beach has been entirely smoke-free, since 2015, in bid to keep the sands pristine for all who visit and use it. There are excellent watersports facilities and boat trips available from the nearby marina. At the southern end of Sant Eulalia is Mariner’s beach with fine, light-coloured sand at the mouth of the only river of Ibiza. The seabed is shallow and safe for children and the water usually quiet. At the river end there is a beautiful idyllic tiny harbour which is a meeting point for canoeists and sailors. A path leads along the riverbank to a small bridge, over which the small neighbouring resort of Siesta is reached. Several beach restaurants line the promenade, which lead into the town centre and is only a 10 minute walk away. Along the promenade, you will find many restaurants and cafés suitable for every taste and budget as well as the the ferries which travel to the nearby beaches, the hippy market in Es Caná and Ibiza Town as well as day trips to Formentera. 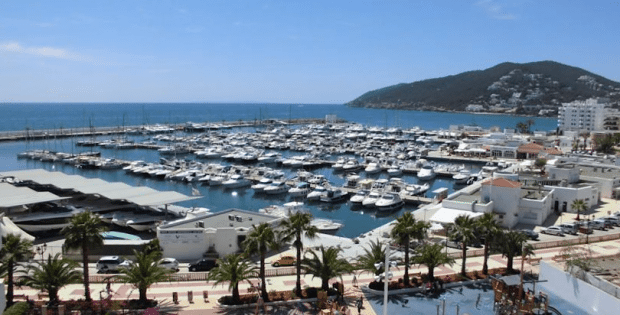 Just around the corner is the impressive marina, which is greatly admired by the jet set throughout the Mediterranean. This stylish area has become a favourite for dining, shopping and is home to the laid back nightlife of the resort. There are two main streets for eating out namely the tree lined Calle San Jaime which is the main street. It’s the daytime meeting place for coffee and conversation. Backing on to San Jaime is Calle San Vicente, famous as the Street of Restaurants. Closed to traffic in the early evening, it is transformed into the living, breathing picture of an ideal Mediterranean scene. Chairs and tables, laughing promenaders and diners, lights, music and strolling musicians appear, giving this picturesque street an intoxicating fiesta atmosphere. There are also an abundance of restaurants, cafe and bars around the marina and along the promenade. The recently renovated town centre is a true hive of shops offering souvenirs, boutiques, jewellery, swimwear and shoes. A shopaholic will be in seventh heaven wandering through the tree lined streets. 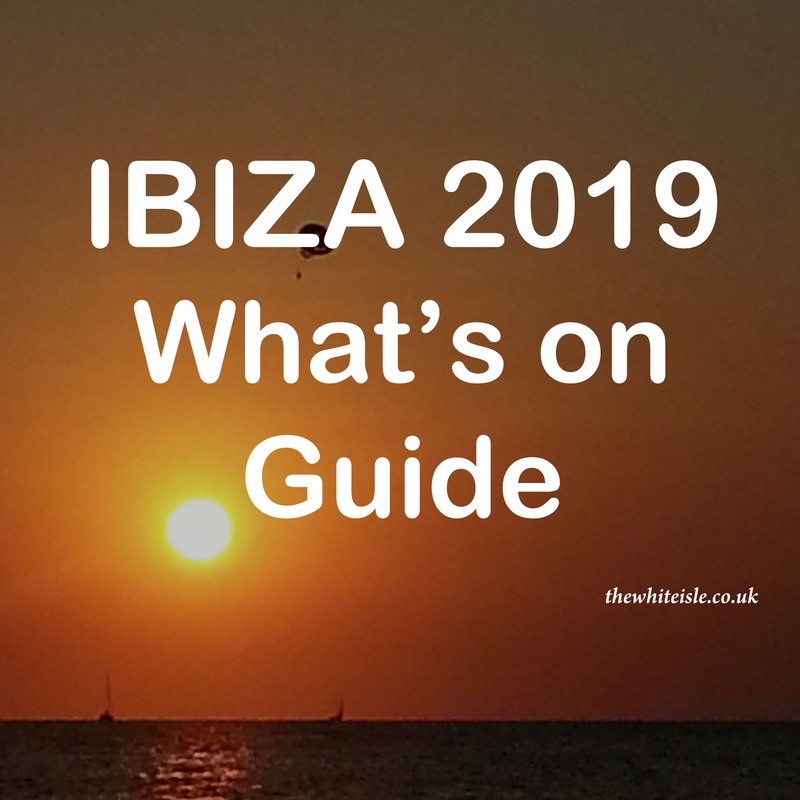 The area is also home to the two largest hippy markets in Ibiza at Punta Arabia at Es Cana which is held on Wednesdays and Las Dalias hippy market held on Saturdays throughout the year and on Monday evenings during the summer months. 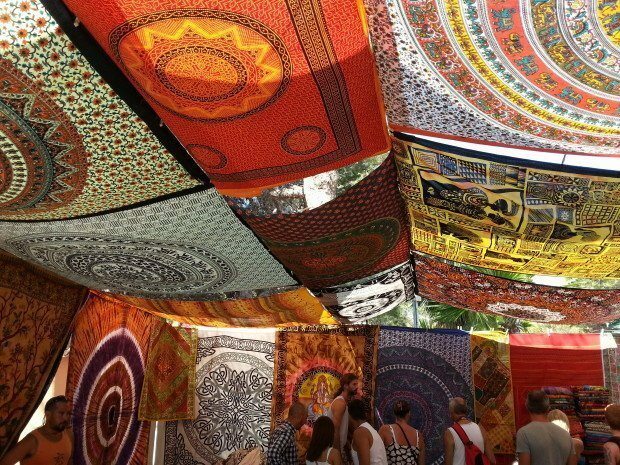 Both offer are a riot of colourful stalls, with handcrafted goods. Being a beachside resort there are a lot of water based activities but for those who wish to stay dry check out Acrobosc Ibiza adventure park which is set in an area of pine trees just behind Cala Pada beach. There are three circuits you can follow, according to your height and age, putting your balance and skills to challenge. Thirty-nine platforms between 2 and 6m high, 49 obstacles and 20 zip lines from 4 to 65m length and trampolines will guarantee every one of all ages has a fantastic time. You can also take the tourist train on a tour of the local area. The tours winds 15 km through beautiful countryside taking you to various attractions and sandy beaches along its route. Another highlight of the area is the 16th Century church Puig de Missa with its impressive Moorish style architecture. The church is surrounded by a small village and accessible by road and by foot. Although it is a steep walk and not for the faint hearted however the views more than make up for it. 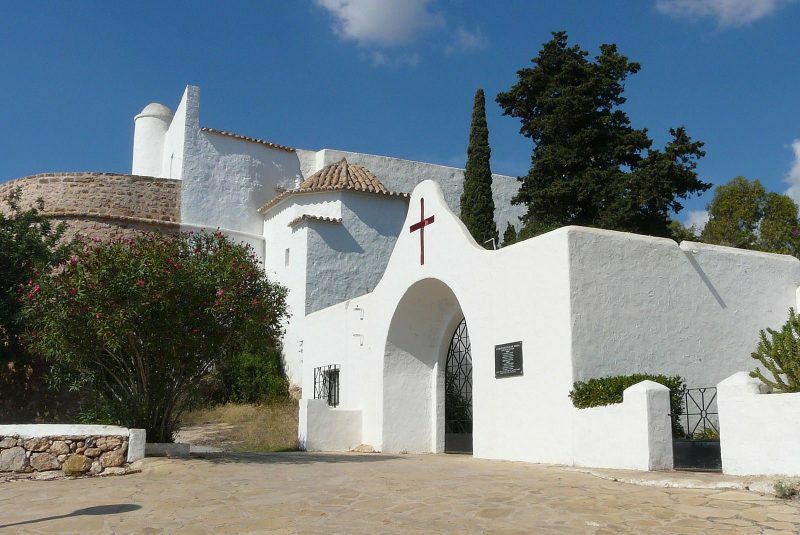 Being a resort aimed at families and the more discerning traveller Sant Eulalia offers a wide range of accommodation from 5 star hotels to boutique hostels and family-friendly apartments in and around the town as well as close by in the Ibiza countryside.